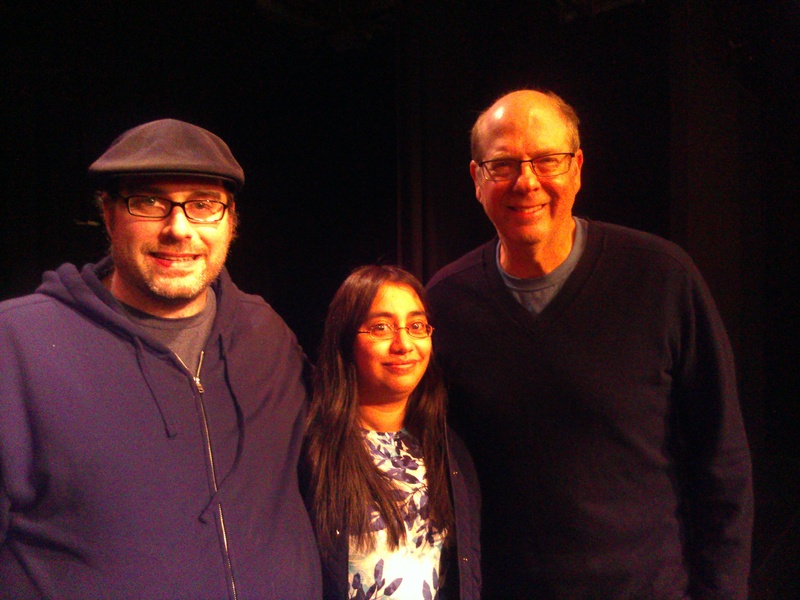 I met Stephen Tobolowsky last year when he released his book Dangerous Animals Club. I bought a copy, got it autographed and had his wife Ann take a photo of me with him. He was a nice guy and told a great story that night, about a time when he was held hostage during a robbery at a grocery store at gunpoint. I really only went because he played Ned Ryerson in Groundhog Day. On Saturday afternoon, Tobolowsky told us three stories. One which is from the book and was also Episode 23 of his podcast about his dog. The second was about his time in a rock band in LA and their need for the medicinal properties of marijuana. It lead to making out with a guy in an old red pickup truck and nearly getting hanged due to having aluminum foil in his carry on bag which also contained a pound of weed. A portion of that story is in the bonus features of his DVD Stephen Tobolowsky’s Birthday Party which we bought after the show. A full length version will be in his next book which he has submitted to his publisher. The third story was a reading of an article he wrote for Slate Magazine in the fall of 2012, about his experience in 7th grade. Tobolowsky is an excellent storyteller who has gone through a ton of life experiences. I’m happy to have listened to him tell those tales to us. He happily met and greeted his fans and sold merch from the stage, and had his wife Ann take photos for him. We bought the DVD and got a photo with him after the show. February 3, 2014 in Books, Event.